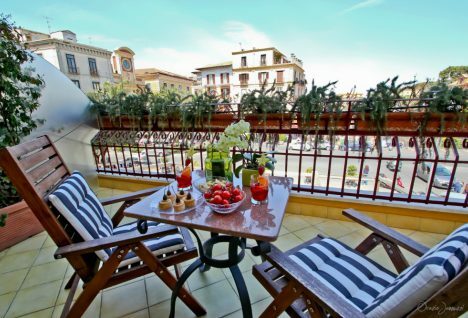 Palazzo Jannuzzi is located directly on bustling Piazza Tasso, the main square in beautiful Sorrento, Italy. This historic residence has been in our family for generations, and was completely renovated in 2011. 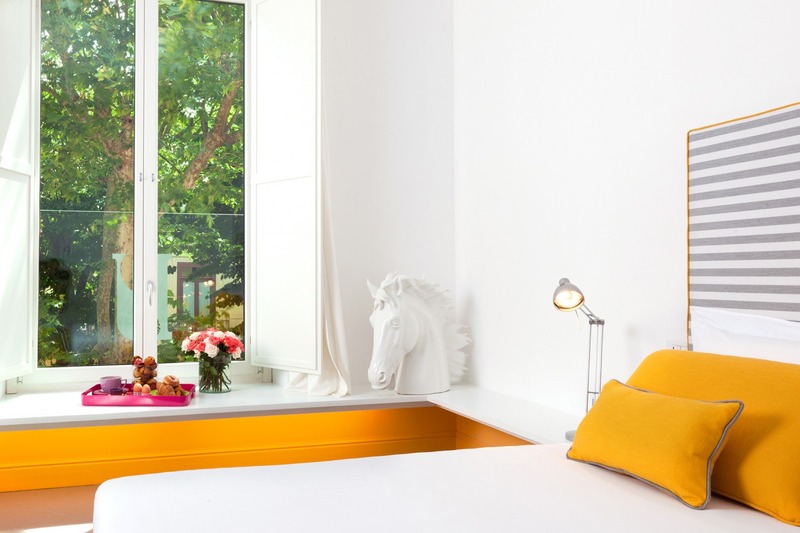 The central location, welcoming hospitality, and chic yet charming rooms makes our family-run B&B the perfect choice for your holiday on Italy's famous southern coast. You'll love relaxing on the sun-drenched terrace overlooking the square or in the quiet reading room with comfy sofas and original fireplace. 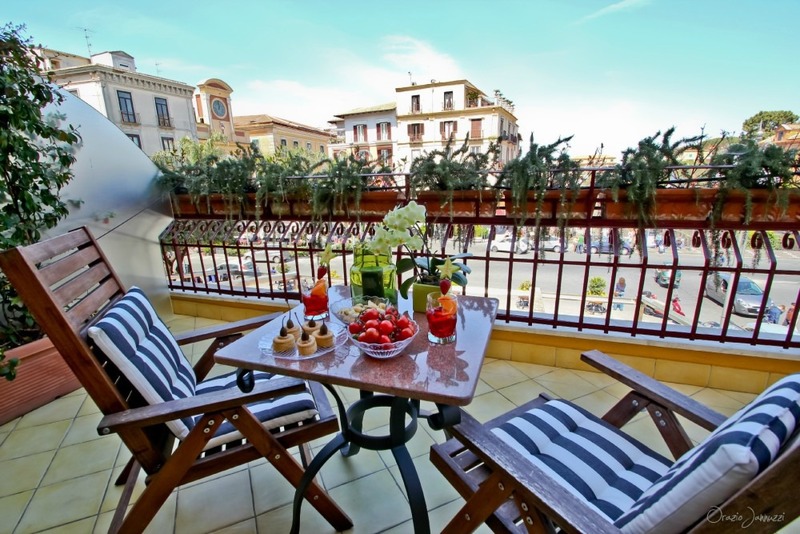 And when you are ready to explore the center of Sorrento, you'll find all the famous sights, beautiful park, vibrant cafès and restaurants, and pretty beach within easy walking distance. We are famous for our superb breakfast buffet, stocked with homemade tortes and baked goods, seasonal fruit and yogurt, piping hot eggs, a selection of local cheeses and charcuterie, and coffee made fresh....all served in our dining area adjoining our open kitchen and shady terrace. 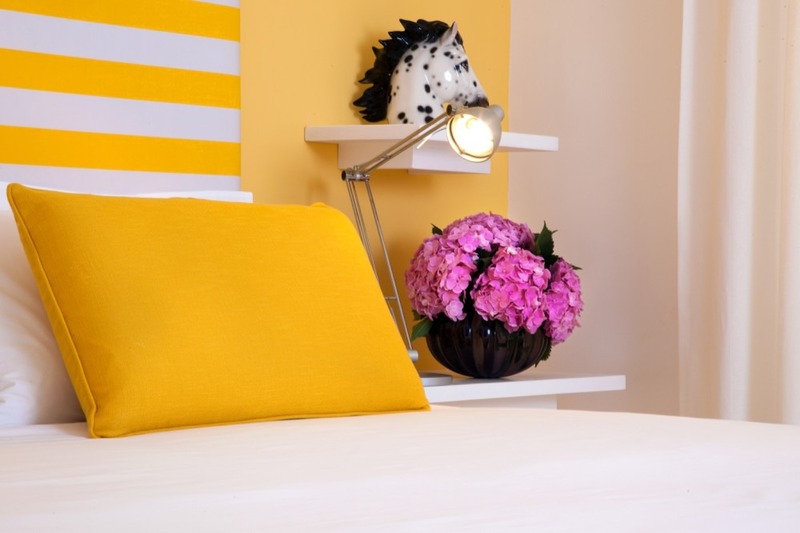 Choose one of our 12 spacious guest rooms, all decorated in cheerful shades of yellow offset with contemporary black, white, and grey accents. All our unique rooms at Palazzo Januzzi offer ensuite bathrooms, air conditioning, flat screen tvs with cable and satellite channels, and wifi; larger rooms and suites also include a kitchenette, sofabed and private balcony or terrace. Yes, the bed was extra comfy! The linen was fabulous. The decor exquisite. 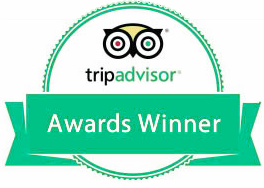 Above all the staff were extremely friendly, helpful and accommodating. The location was the best. The breakfast was varied and interesting, delicious and asthetic. Bed and pillows were superd. It was great to have a private terrace. Decor was fun. Breakfast was amazing Something for everyone. Very central location.